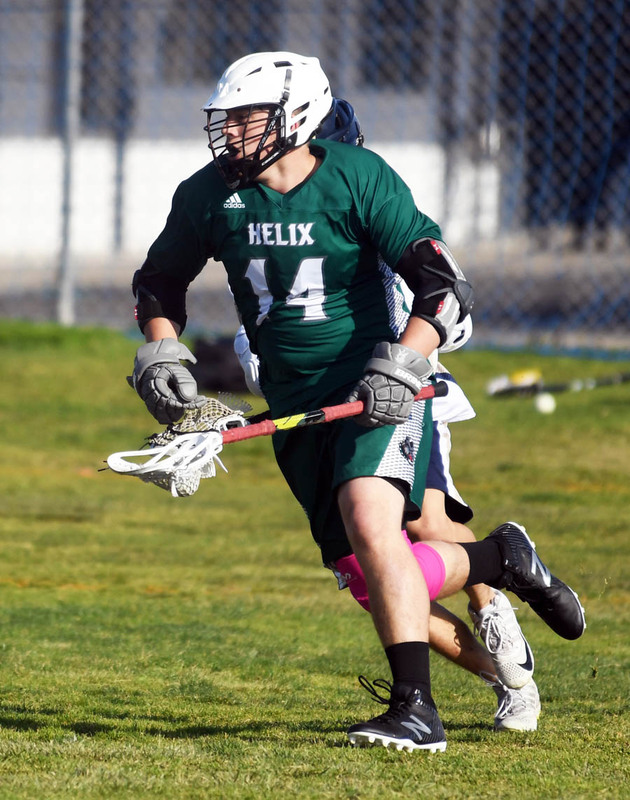 The Helix High School boys lacrosse team began a two-game series against teams from the Metro Conference by defeating host Bonita Vista, 12-4, on Monday (March 25). The Highlanders host Hilltop on Wednesday (March 27), starting at 7:15 p.m.
Wednesday’s non-league game will pit teams with identical 6-2 records that are both coming off high-scoring victories as Hilltop defeated host Mater Dei Catholic, 17-5, on Monday to improve to 6-2. Hilltop is currently riding a six-game winning streak while the Highlanders have won have their last three games following back-to-back losses to Grossmont (15-0 on March 12) and Granite Hills (14-4 on March 15), the top two teams in the Grossmont Conference standings. Wednesday’s game marks a two-game set against Grossmont Conference teams for the Lancers, who play at Santana on Friday (March 29) at 7:15 p.m.
Santana is 4-4 on the season. Grossmont (7-0-1 overall) and Granite Hills (5-0) are both 4-0 to start league play, followed by Helix with a 3-2 league record, Valhalla with a 2-2 league record, Santana with a 1-3 league record, El Capitan with a 1-4 league record and Monte Vista with a 0-4 league record. Santana plays at Grossmont on Thursday (March 28) at 7 p.m. Grossmont defeated Monte Vista, 22-0, on March 22. 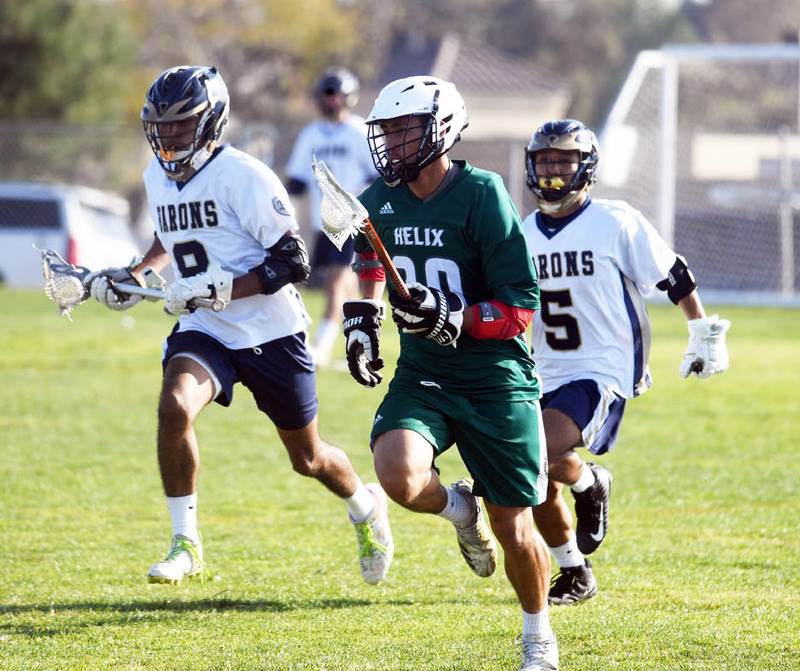 Following Wednesday’s home game against Hilltop, Helix will host three more home games in a row: Friday (March 29) against Monte Vista, April 2 against Santana and April 4 against Grossmont. 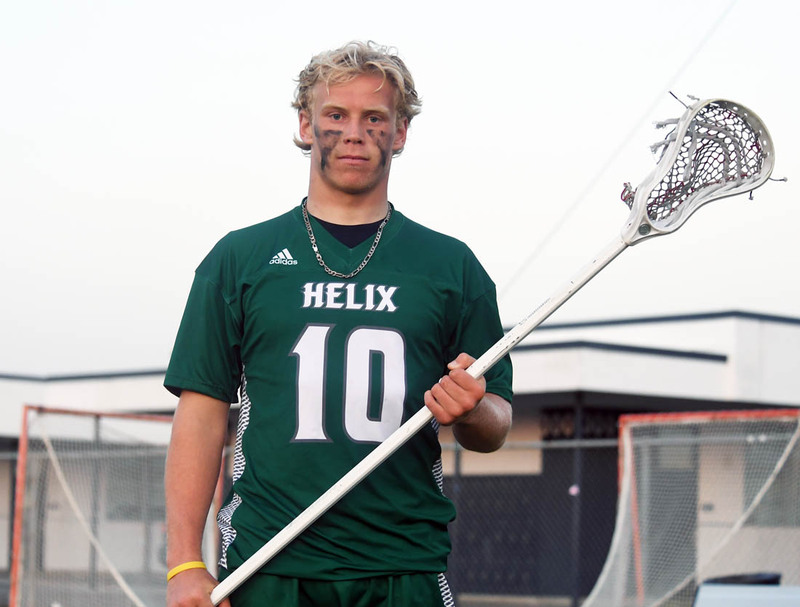 “We’d like to try to keep our place in third behind Grossmont and Granite Hills,” Helix head coach John Whittles said after Monday’s victory over the Barons (2-7). Whittles said his team’s start this season is its best since 2015 when the Scotties advanced to the San Diego Section Division II semifinals en route to posting a final 12-7 record. He said there is a lot of motivation to excel this year. According to statistics maintained by the MaxPreps website, Granite Hills is currently ranked No. 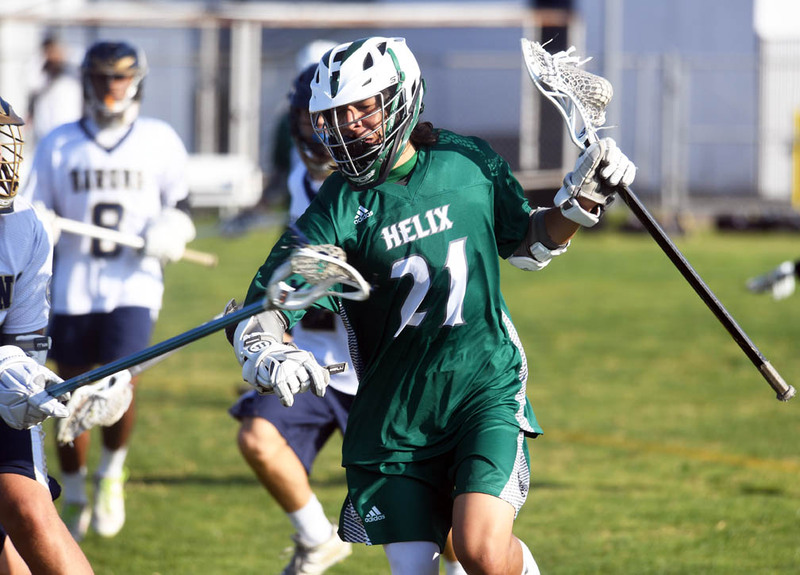 1 among Division II teams while Helix is ranked fourth, Valhalla ranked fifth and Hilltop ranked seventh, making Wednesday’s match-up quite eventful in the early season rankings. Grossmont is ranked fourth among the section’s Division I teams. Granite Hills is scheduled to host Grossmont in a match-up for first place in the Grossmont Conference standings on Tuesday, March 26, at 7:30 p.m.
Top returners for Helix include Jake Owens, Jagger Giles and Barak Castro. Impact newcomers include Kevin Olsen, Wakili Johnson and Isaac Yerardi. Giles is familiar to anyone who has followed Helix football. He’s played the last three varsity seasons at linebacker and was part of the Highlander squad that finished runner-up to St. Augustine in last December’s Division I championship game at Southwestern College. Helix lost, 21-20, when the snap from center was fumbled while the Scotties were going for a potential two-point conversion play to win the game. Giles, a long stick in lacrosse, said playing football has helped with his footwork, intensity and “being able to be a defender against the offense” in the transition to lacrosse. Giles, a six-foot-tall, 200-pounder, said he remains uncommitted as to whether he’ll be playing football or lacrosse in college. 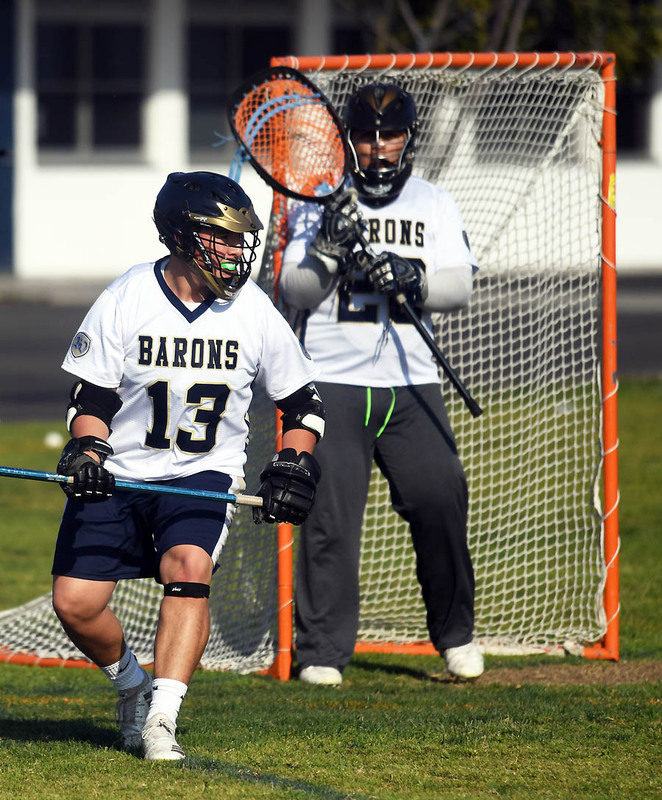 The Highlanders and Barons weren’t separated by much on the scoreboard in the early stages of Monday’s contest before the visitors pulled away for a 10-2 halftime lead. Scoring was minimal in the second half, with the teams each scoring twice. 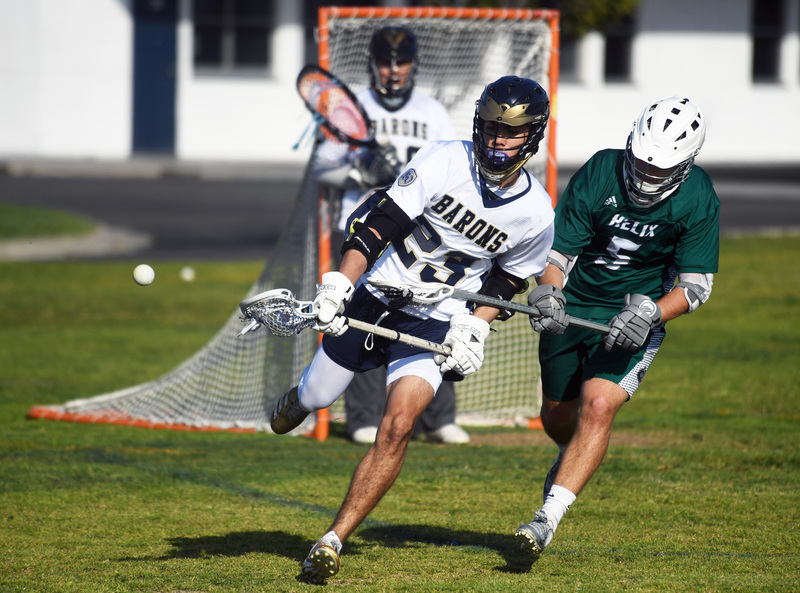 Kevin Tang led Bonita Vista with three goals in the loss while Justin Locke led the Barons in fielding with four ground balls. Hilltop lost its opening two games of the season – 5-2 to visiting Point Loma on March 3 and 6-5 at Valhalla on March 8. The Lancers have since reeled off consecutive wins against Serra (7-1 on March 13 and 13-2 on March 18), El Capitan (12-10 on March 16), Del Lago Academy (10-7 on March 20), Preuss UCSD (7-5 on March 22) and Mater Dei Catholic on Monday. 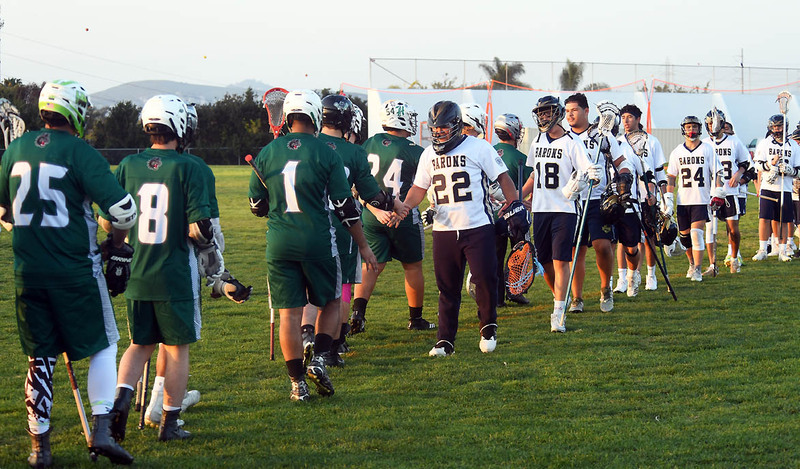 Hilltop hosts Otay Ranch (0-7) to face off Mesa League play on April 1. 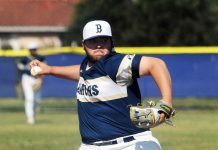 Bonita Vista defeated host Chula Vista, 12-0, in a non-league game on March 13 to even its early season record at 2-2 but has since lost its last five contests, including an 11-3 verdict at Valhalla on March 21. The Barons, who open Mesa League play by hosting Hilltop on April 8, will attempt to get back in the win column when they play at Hoover (0-2) on Wednesday (5 p.m. start). Defending Mesa League champion Eastlake is 4-4 to start this season. 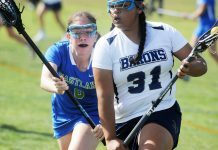 The Titans, who recorded a history-making runner-up finish in last year’s Division II championship game, defeated Pacific Ridge, 13-7, in a non-league game on March 22. Eastlake faces off Mesa League play April 3 at Otay Ranch. The Titans’ other wins this season have come against El Camino (18-0 on March 4), Mt. Carmel (13-5 on March 8) and Point Loma (12-6 on March 13). Eastlake’s four losses have come against Grossmont (14-3 on March 6), Santa Fe Christian (11-8 on March 11), Westview (11-4 on March 15) and Patrick Henry (9-8 on March 19).